In recent years elevator and escalator manufacturers have embraced society’s demands for energy efficient or ‘green’ products with many innovations. These innovations within the industry have enabled manufacturers and their clients to reduce energy consumption and the carbon footprint of the buildings in which they are contained in many cases. Technological improvements have been adopted quickly across the industry. Below we have listed 6 significant recent innovations in the vertical transportation industry..
Perhaps the most newsworthy of relatively recent developments was the introduction of the completely Solar Powered lift by Schlinder in 2013. Solar powered lift systems can potentially be utilised throughout the world and particularly on the continent of Africa and in the Middle East. The solar powered lift can deliver an energy saving of up to 50%. Escalators and passenger conveyors can be fitted with a passenger sensing device for automated operation that enables the escalator to activate sleep mode (also referred to as standby mode) when there is no passenger demand. The same process can also be applied to lifts. For example, the power side of the lift controller and other operating equipment such as lift car lighting, user displays and ventilation fans switch off when the lift has been idle for a prescribed length of time. The lift uses a drive controller capable of variable-speed, variable-voltage with variable-frequency (VVVF) control of the drive motor. Lifts fitted with regenerative features are those that convert the energy generated from the lift motor driven by gravity into electricity for other uses. Compared to older lifts, regenerative lifts are 20-30% more energy efficient. These are also described as lifts with a regenerative overlay. LED lighting runs for up to 50,000 hours and is a modern, cost-effective alternative to incandescent or fluorescent lighting that uses 90% more power. The light quality is brighter and superior improving visibility. Additional energy-saving options include lights that switch off when the lift is not occupied, and a dimmable feature allowing passengers to adjust the level of lighting inside the lift-car. 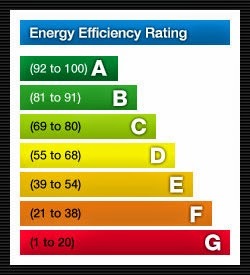 Would you like to discuss energy efficiency measures for your building? Are you working on a project that would benefit from greater energy efficiency? Please give us a call on T +44 (0)20 7739 5093 to discuss or send us an email via peterboardman@dunbarboardman.com to start the conversation. We look forward to hearing from you.